India’s long-awaited quest for a gold medal in athletics will finally begin in earnest next week. It is going to be a long-distance race. For the first time, five athletes will represent India in the marathon at the Olympic Games: O.P. 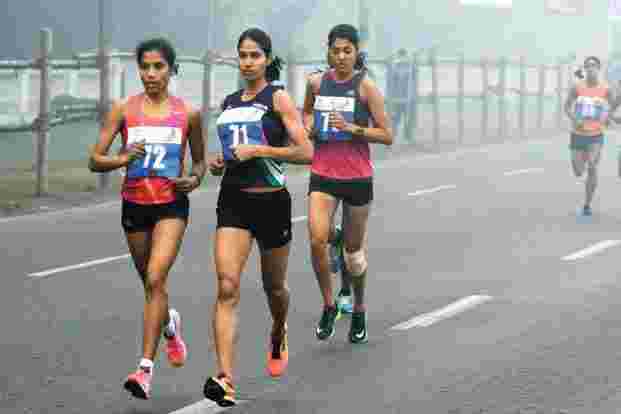 Jaisha and Kavita Raut among the women, and Nitendra Singh Rawat, Gopi Thonakal and Kheta Ram among the men. In London 2012, it was just Ram Singh Yadav matching stride with the world’s elite. The women’s marathon will be held on Sunday, the men’s on 21 August. This jump in the number of Indians representing the nation in a distance-running event on the world’s biggest sporting stage can be attributed to two reasons. First, running is slowly becoming a part of urban life in India with multiple races featuring the world’s elite; greater exposure and race experience has led to an improvement in performance among Indian runners. “At the Standard Chartered Mumbai Marathon (SCMM) at the beginning of the year, we saw a big improvement in the level of performance among the Indian men," says former British Olympic marathoner and SCMM’s race director, Hugh Jones. “Not only was there a new record (2 hours, 15 minutes and 48 seconds)—by over a minute—but it was not a runaway win. Several others were not so far behind. The same thing had happened in the women’s race one year earlier." Second, the governing body for athletics, the International Association of Athletics Federations (Iaaf), relaxed the Olympic qualification standards for marathon from 2:15 to 2:19 for men, and from 2:42 to 2:45 for women, for Rio 2016. The decision was taken at the Iaaf council meeting in November so that Rio 2016 would see “more athletes achieving the standard and, therefore, get closer to the target number of participants", according to an Iaaf statement. This meant the top three Indian men and top two women finishers at this year’s SCMM made the cut for Rio. This is just the beginning. For example, with the relaxed qualification timings, 226 women and 179 men in the US made the cut, while only the top three finalists in the official United States of America Track and Field marathon trials made it to the Olympics. The hard truth, though, is that not one Indian runner is a medal contender. 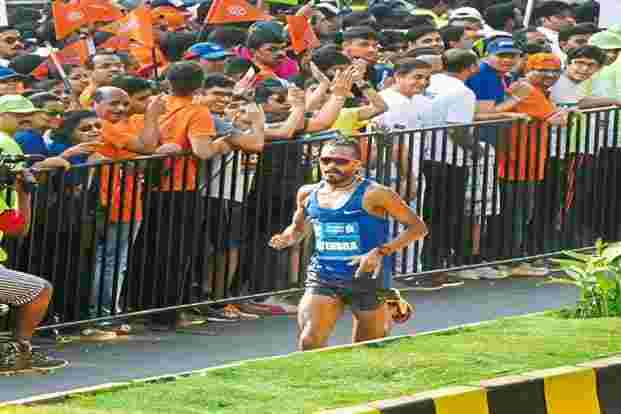 Rawat, the fastest Indian marathoner at the moment, with a best timing of 2:15.48, is about 13 minutes behind the world record of 2:02.57, held by Kenya’s Dennis Kimetto. This year’s best time of 2:03.5 for men was set by Eliud Kipchoge in April—the Kenyan is also taking part in Rio. “While running has existed in our country for some time, we are still far from even thinking of challenging records. Through the use of sports science, better training methodologies, proper nutrition and research on our athletes, we may close this gap, but to put things in perspective, while the world is thinking about breaking the 2-hour marathon barrier, we are working to break 2:10 by an Indian athlete," says sports scientist Shayamal Vallabhjee, who is the founder of the Mumbai-based sports medicine clinic Heal Institute. Though Rio is unlikely to see any world or Olympic record shattered in the marathon races, given the warmer temperatures and higher humidity which slow down long-distance runners, the conditions should suit Indian runners, who train in similar conditions back home. Certainly, the enthusiasm of the athletes has not been dampened in any way. They have trained hard and consistently since February. None of them seem to need a reality check in terms of where they stand. They are training hard in Rio as well, instead of dashing off to Copacabana beach, watching other athletes compete at various Olympic venues or clicking selfies at the statue of Christ the Redeemer—things they want to tick off their lists, but later. “I want to see and experience Rio, especially the statue of Christ," says Rawat, who is at his first Olympic Games. “But right now I have to train. I know what the reality is, but I want to give it my best. If you see the performances at the last three Olympics, you need to run a 2:08 race to stand a chance of winning a medal. I am a 2:15 runner currently. So we need to shave about 7-8 minutes off that. If any one of our boys or I manage that, we might sneak into medal contention. But improving by 7-8 minutes is tough. If it were 2-3 minutes, our runners would have a better chance at cracking it. Personally, I have come here with the target of running a 2:09.59 race at the very least." If they manage that timing, they would set a new Indian record for the marathon. The national record of 2:12.00 was set by Shivnath Singh back in 1978. Both the men and women are in good shape currently, thanks to their training. In addition to all the workouts, Rawat is also reading the autobiographies of legendary runners, like Paula Radcliffe’s Paula: My Story So Far and Haile Gebrselassie’s The Greatest: The Haile Gebrselassie Story, to motivate himself, and meditates every morning to keep his focus on the big day—21 August.